Burrows, known as 'Shades' to Argyle fans, began his career at Mansfield Town in 1980, before moving on to Northampton Town. His move to Home Park was unorthodox, to say the least. Burrows wrote to manager John Hore asking for a trial. 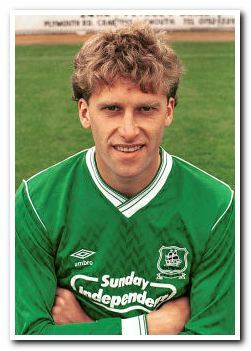 Hore took the gamble, but Burrows initially struggled to make an impact at Argyle, and, after Ciderman Dave Smith had taken over as manager, he was sent out on loan to Southend United. Smith was keen to agree a permanent deal with The Shrimpers, but Burrows was settled in Plymouth and had no intention of relocating to Essex. Back in Plymouth, injuries finally gave Burrows his chance at the heart of the defence and he grasped the opportunity with both hands. He earned the respect of the supporters for his reliability, tough-tackling, aerial ability and intelligent use of the ball from the back. Sadly for Burrows, his most memorable contribution to the club's fortunes was not a fruitful one – it was his handball in the area that enabled Everton to avoid what would have been a huge giantkilling in the 1989 FA Cup third round at Home Park in front of more than 27,000 fans. Bizarrely, especially considering the 10-year time span, Burrows' first and last games for the club both came away at Burnley (both were draws). However, his final appearance was far more significant than his first – coming as it did in the first leg of a playoff semi-final in which the then 35-year-old was controversially sent off for two yellow cards, the second of which given for a debatable deliberate handball. Burrows retreated to the dressing room where he marked the end of his Argyle career by breaking down in tears. It was a sad end to the career of a loyal and committed player, and one who fought for the chance to stay at a club many players are often only too willing to leave. 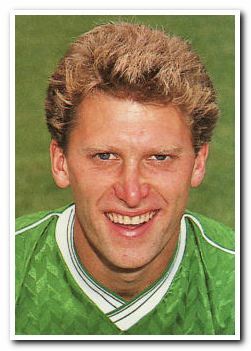 He dropped into non-league to see out his final years as a footballer, before becoming a driving instructor in Exeter.